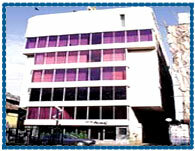 Hotel Pankaj Trivandrum, Pankaj Hotel Trivandrum, Reservation for Hotel Pankaj, Trivandrum, India. Address: P.B. No - 110, M.G. Road, Opp. Secretariat, Trivandrum - 695001, Kerala, India. Accessibility: 6 kms. from Airport, 1.5 kms. from Railway Station, 1.5 kms. from Bus Stand. Hotel Pankaj is centrally located in Trivandrum, facing the gigantic Secretariat building and within close proximity to all the shops, banks, business, offices or other tourist destinations. 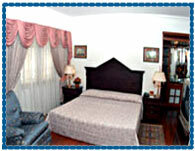 Hotel is quite suitable for the business as well as tourist vistors. Front Desk, Business Center, Complimentary Breakfast, Elevator, Free Newspaper, Free Parking, Bar, Banquet, Restaurant, Safe Deposit Box, Lounge, Coffee Shop, Room Service, Conference Facilities, Meeting Facilities, Secretarial Service, Post, Laundry, Medical, Internet, Travel Desk, Currency Exchange, In Room Telephone Service, Front Desk-24 Hours, Luggage Storage, Wake Up Service Room, AC, Cable TV, Direct Phone, Channel Music, Attached Bath Room, Shower, Bath Tub, Work Desk, Safe Deposit Box.